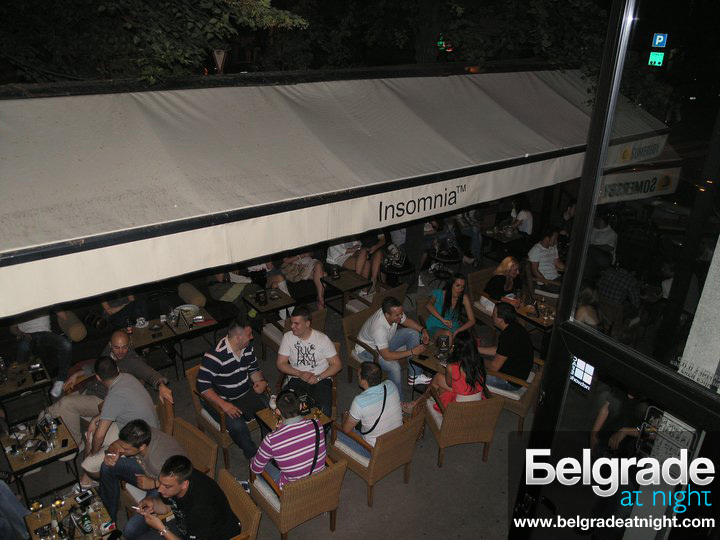 Insomnia is located in Belgrade’s own “Silicon valley”, on Stahinjica Bana Street. It is a bar with a tradition of more than 10 years, and has become an institution in Belgrade nightlife. It is famous for a wide range of exotic coffees, great cocktails and beautiful women. Hot and lively evening atmosphere is fired by resident DJs. Staff is very friendly and professional. Insomnia has big cool windows all around the cafe so you can see people walking on the street and expensive sport cars passing by from inside. Among the visitors you can often see people from the world of sports, modeling, politicians and “city faces”. If you like to sit, enjoy a great atmosphere and see what’s going on in a trendy part of Belgrade, the outside sitting area in Insomnia is a perfect spot for that.